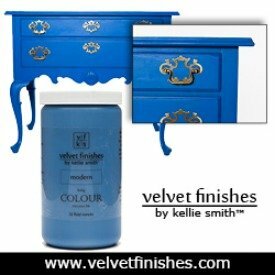 Velvet Finishes Colour of the Month = 20% Savings For You! Spring is upon us folks. The birds are about to start chirping, flowers will be blooming, and the sun will be shining. Let’s celebrate this month and welcome spring with a new Velvet Finishes March Colour of the Month! You know that means that you receive a 20% discount on our colour of the month, right?! The Velvet Finishes March Colour of the Month is Exotic, alluring and mysterious. A dazzling shade of coral. 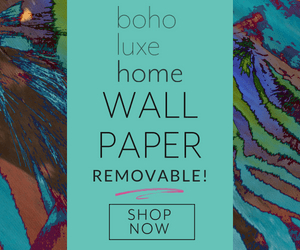 This Velvet Finishes shade truly is crisp, fresh, and perfect for welcoming spring! 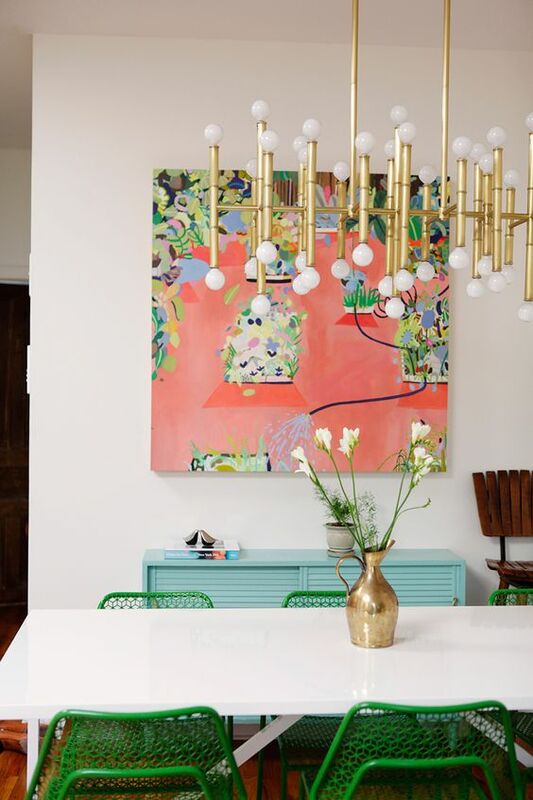 Let’s take a peek at some coral painting and design inspirations to get us in the mood, shall we? 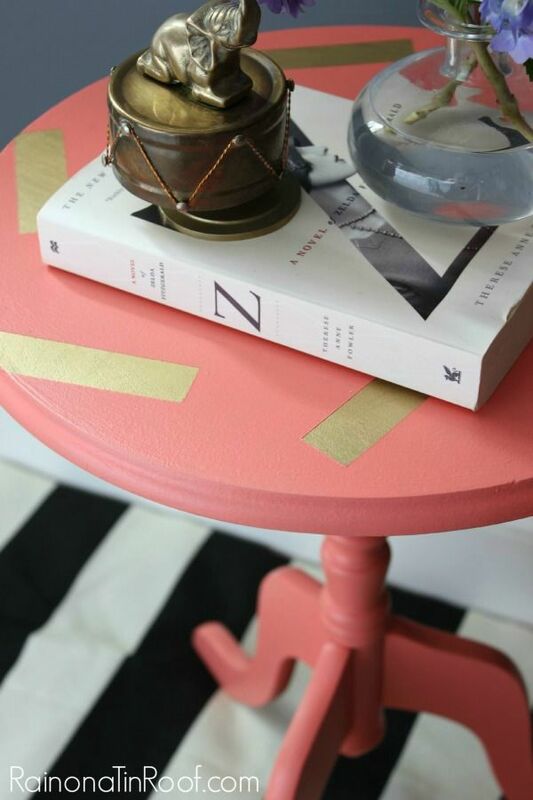 This little side table, painted in Velvet Finishes Exotic, has added detail with the random gold stripes. 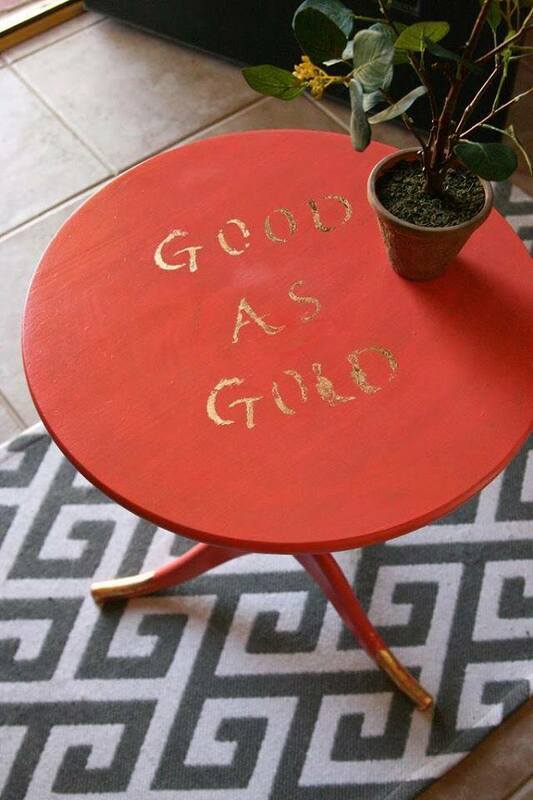 Jenna from Rain on a Tin Roof simply painted over the harsh spray paint that was once on this table. That’s right, Velvet Finishes laugh in the face of spray paint. Mmmwwwaaahhh haha! 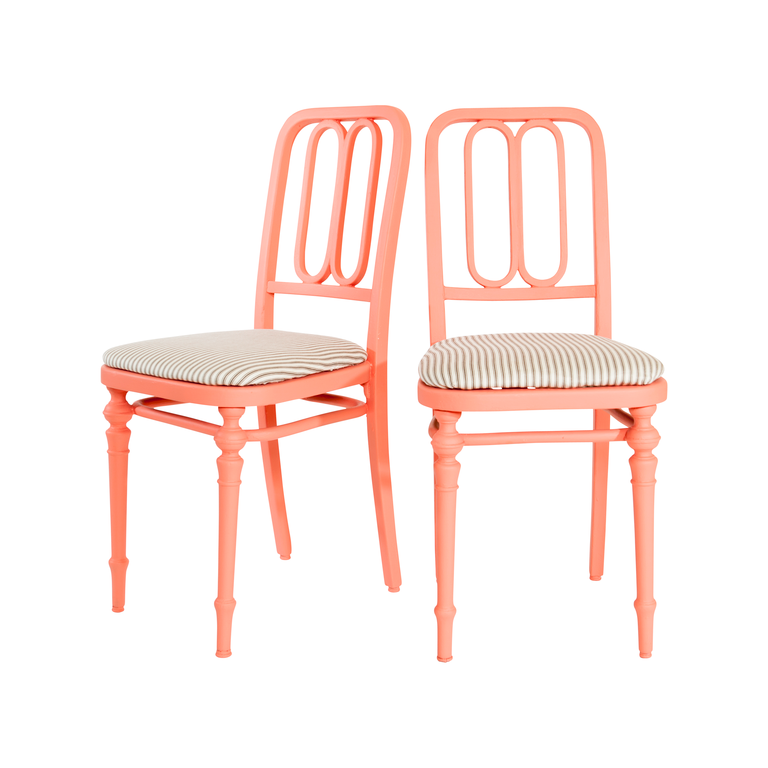 Here are two chairs that we recovered and painted with Velvet Finishes Exotic for our product photo shoot. Gorgeous, right? 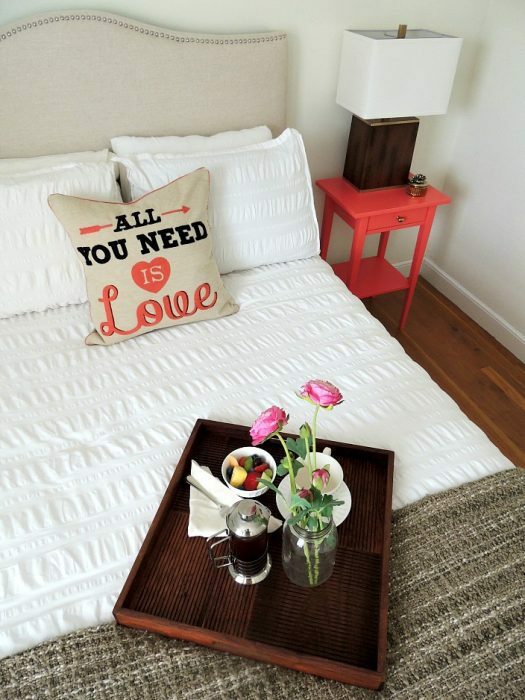 This bedroom makeover from Lindsay at My Creative Days is amazing. I love the VF Exotic on the bed. It is so pretty with the bedding. 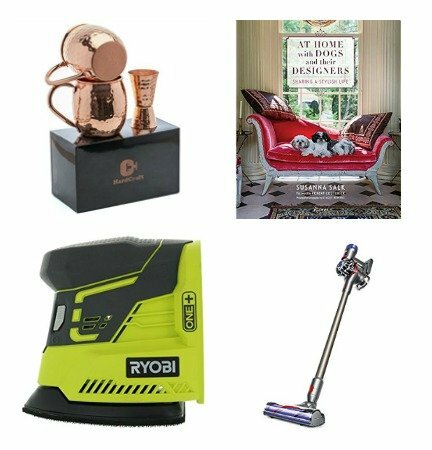 Yes, Velvet Finishes can be used on shiny LAMINATE! 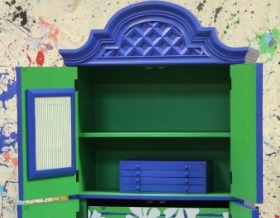 Check out this laminate table that Wife in Progress Blog transformed with Exotic. 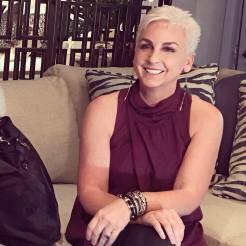 Of course she used our READY & PROTECT products as well. 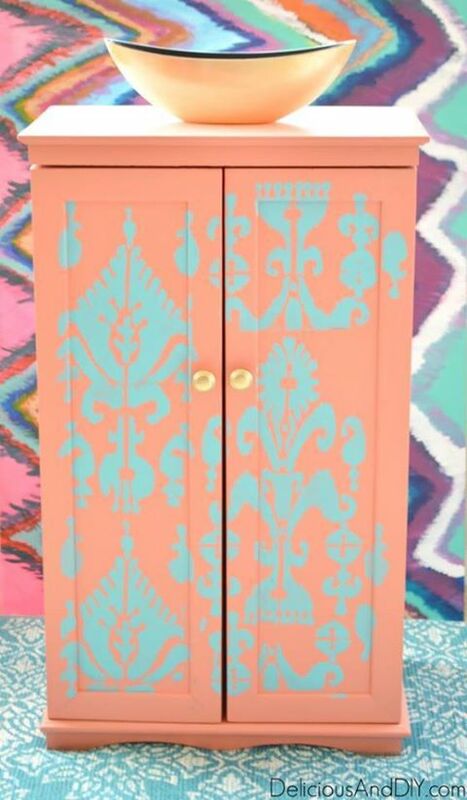 This is what happens when Delicious and DIY gets her hands on VF BOHEME, EXOTIC, stencils, and a storage cabinet! Don’t turn up your nose at thrift store lamps! 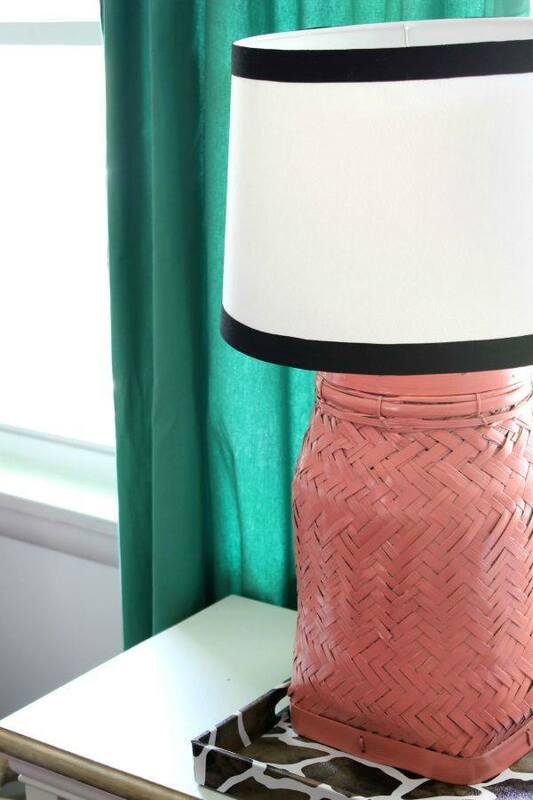 Give that lamp a second chance with this easy lamp makeover using a HomeRight paint sprayer and VF EXOTIC! 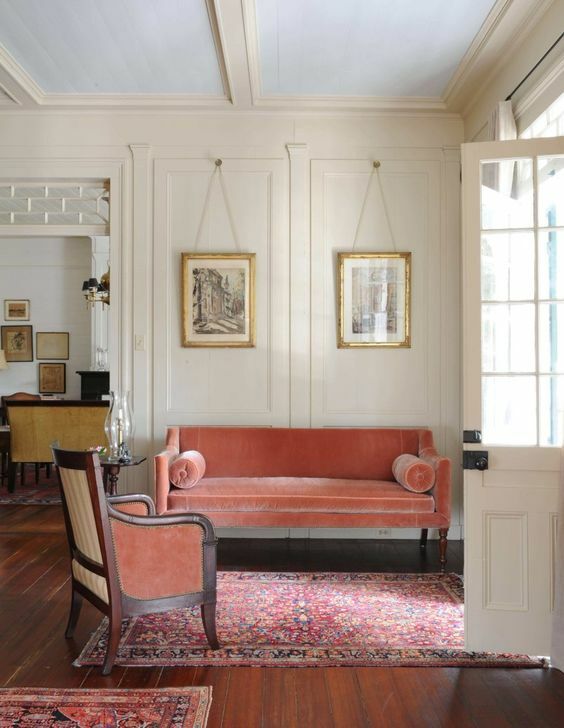 I am ready to dive into the exotic inspired interiors that I have found. 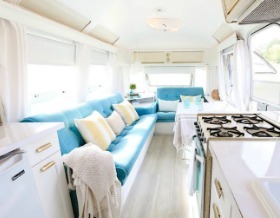 If these interiors don’t scream spring, I’m not sure what does! Add a dash of coral in your art choices! 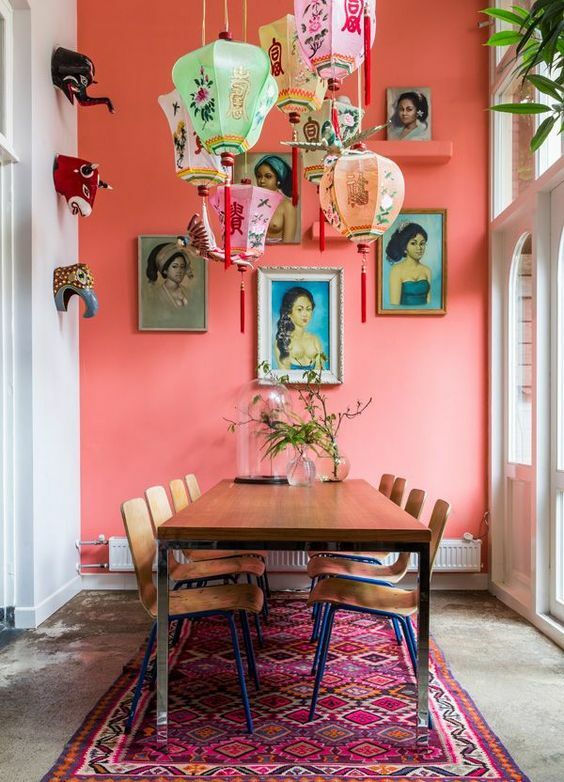 I love the eclectic mix of this dining space. 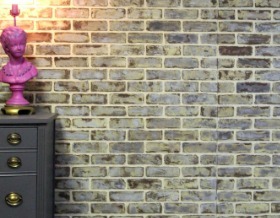 From the window to the wall…..
Take the coral to the wall, girl – just take it! 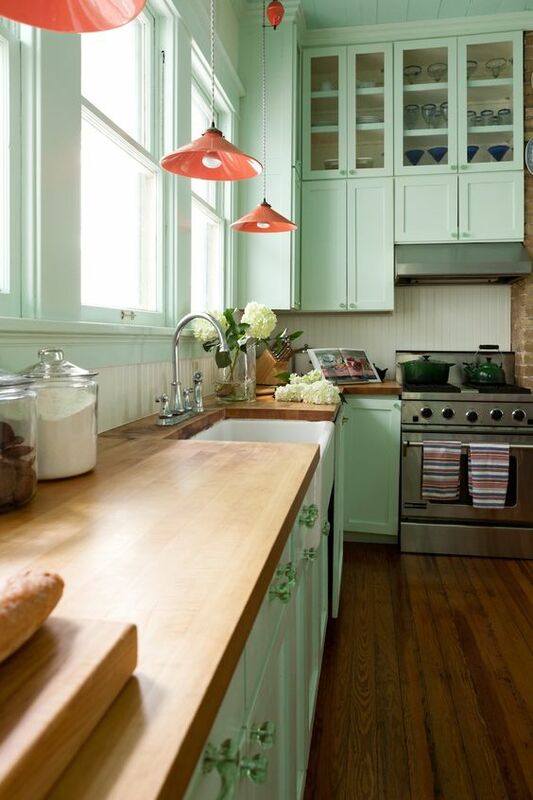 Coral pendant lights in the kitchen? Hell yes! 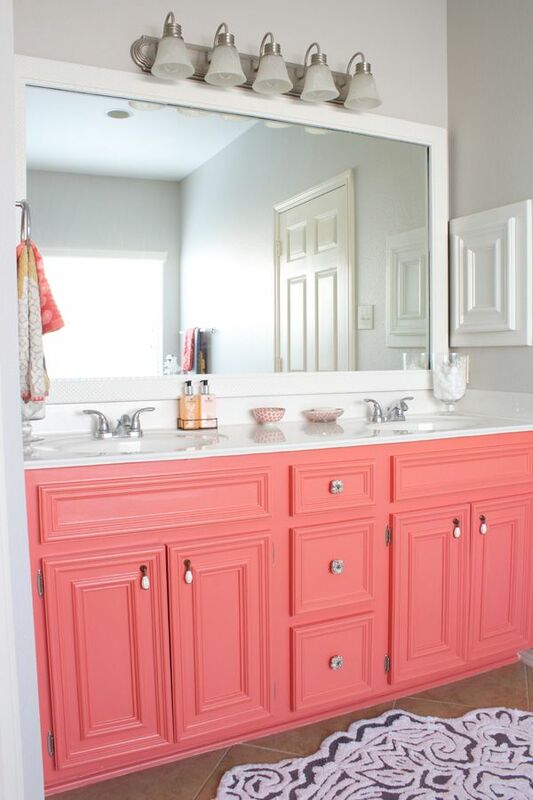 And for our last inspiration, how about a little coral in the bathroom? Gorgeous! Are you loving coral tones and Exotic as much as I am? What projects do you have in mind? I hope that you let Velvet Finishes Exotic colour your world! 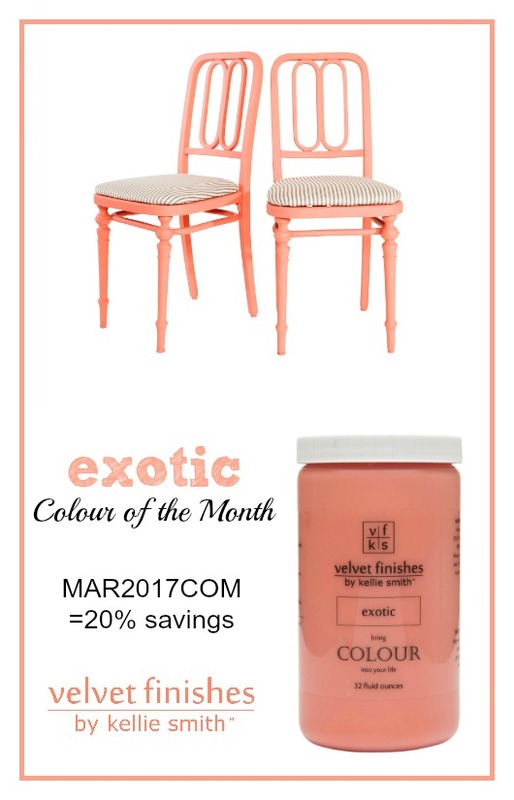 Go to Velvet Finishes and use the code MAR2017COM at checkout for your 20% savings on Exotic. Sweeten Up Your Valentine’s Day with these 7 Vegan Drinks!